I heard about the Boilershop Steamer the first week I moved to Newcastle and since then it's been recommended to me by so many people. Yet for some reason it's taken me this long to actually get myself there. 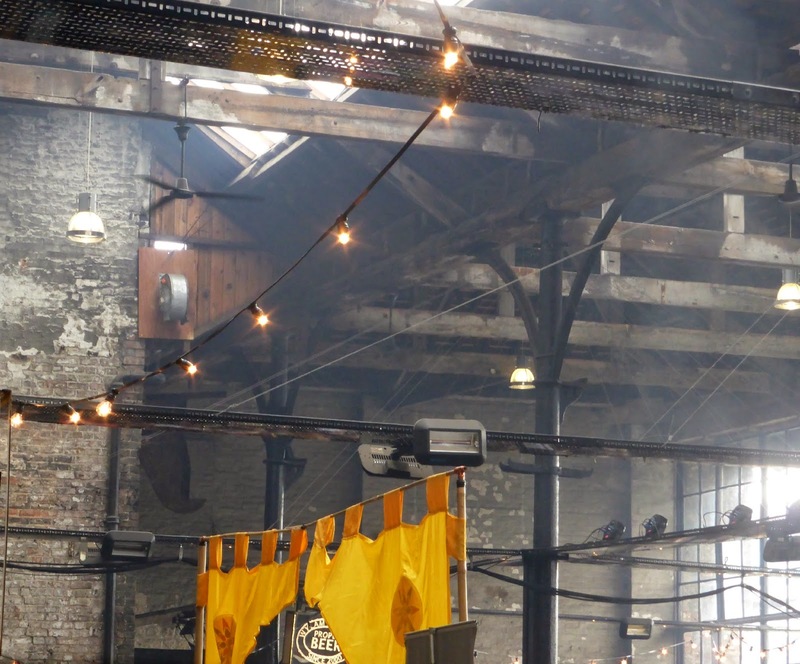 The Steamer takes place every month in the Boilershop, a huge warehouse behind Central Station that was the birth place of Robert Stephenson's famous "Rocket" in 1829, the first steam train of its kind. 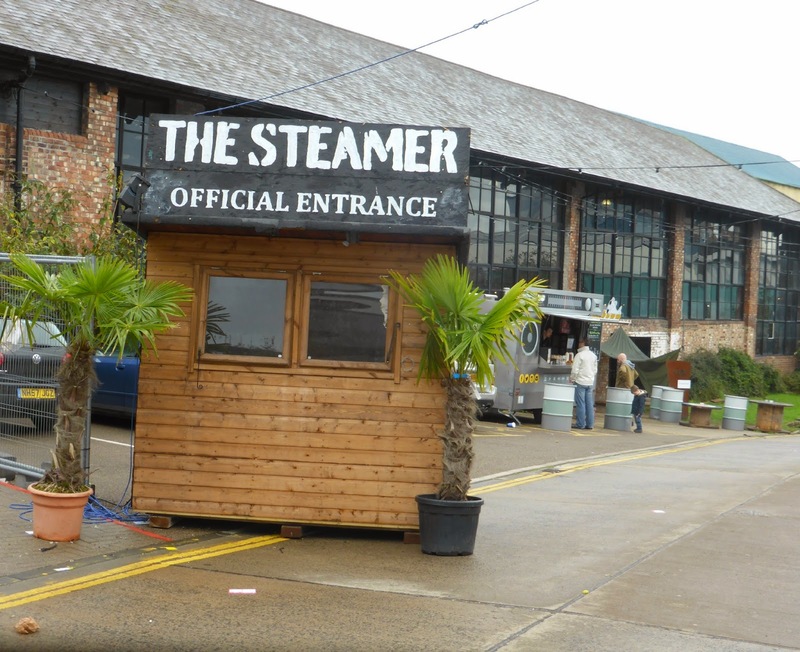 The Steamer is a celebration of food, drink and music and takes place the first Friday and Saturday of every month with different street vendors from across the UK taking part. The list of vendors is released a week before the event and there's always some familiar faces as well as a few new ones so there is plenty of different food to choose from. 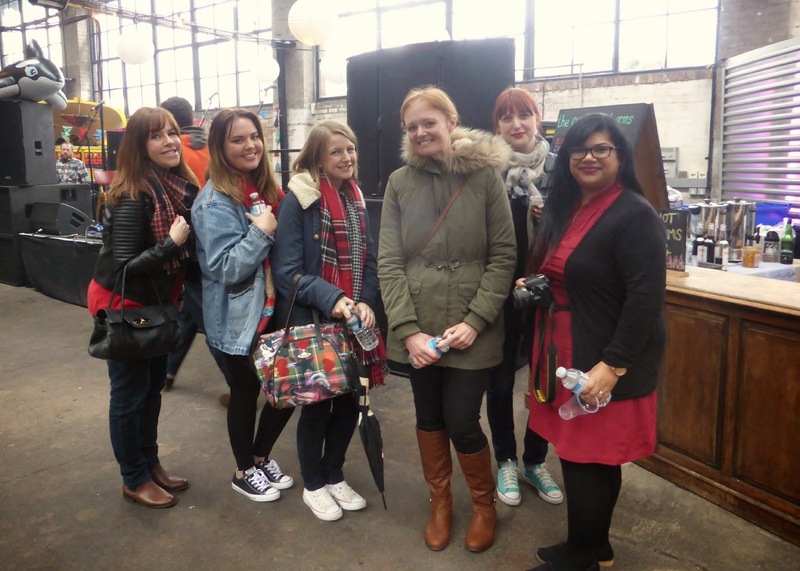 After spending months eating too much cake, October Cake Club decided to have a bit of a change and head to the Steamer to indulge in something a little different. We decided to head down early on the Saturday just after the doors opened at 12:00pm. If you want a proper look round I'd recommend arriving at around this time as it's pretty quiet and there's more chance of getting a seat. The Steamer is also free entry before 6:00pm on a Saturday so it's a great to grab lots of friends and head down for a good feast. 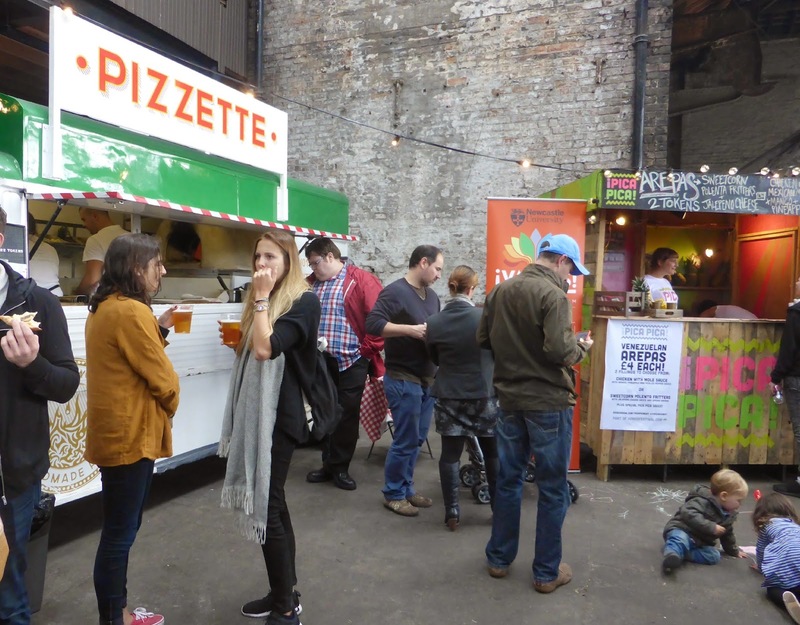 As soon as I got into the Boilershop I knew the event was going to be right up my street. The gorgeous smoky smell of cooking burgers hit me as soon as I walked in and when I wasn't getting excited by the lovely smells I was marvelling at how fantastic the building looked. The space is ideal with old brick walls, huge windows and wooden beams with exposed lights and paper lanterns adding the finishing touch. We did a quick loop of all the food stands to see what we fancied and then charged off in different groups to hunt out our lunch. The Steamer uses tokens as currency, one token is £2.00. It's a fun concept but you definitely have to keep an on eye on how much you spend. 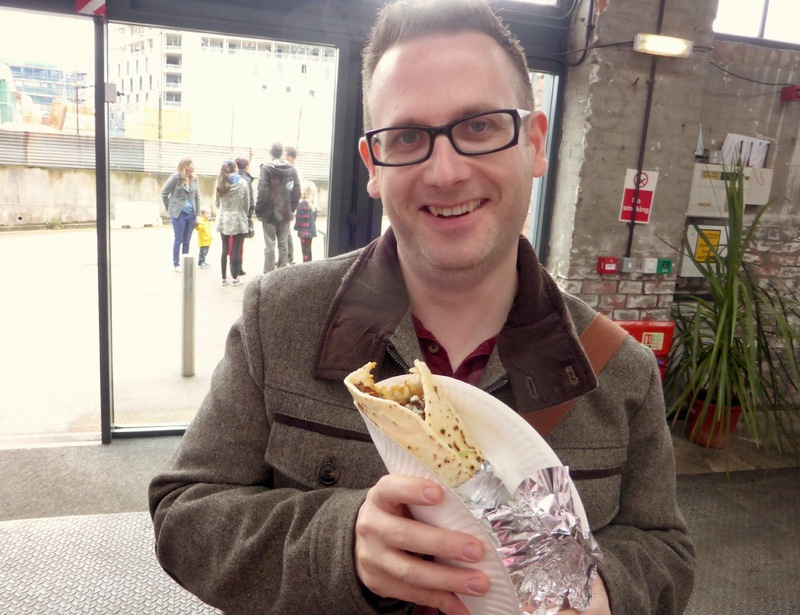 The cheapest food on offer is 1 token (£2.00) but some more pricey dishes are 3 tokens (£6.00). After spending the early part of the morning teasing Simon about all the lovely things I was going to be eating at the Steamer he decided to become Cake Club's honorary non blogging member and tagged along so he didn't miss out. He decided to go for some Lebanese Chicken. Whilst he really enjoyed his food it was a little on the spicy side and he felt it was a little overly priced at 3 tokens. 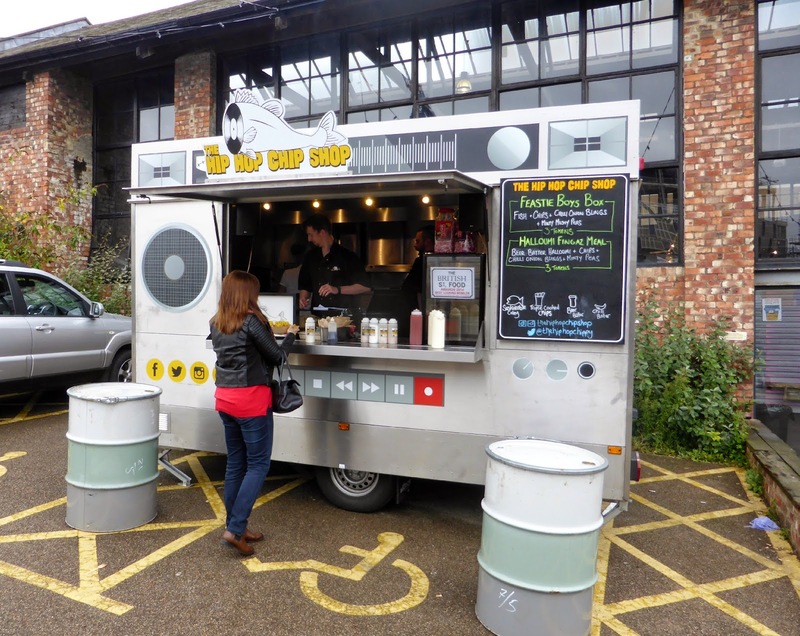 Lisa and I both decided to visit Hip Hop Chip Shop who had travelled up from Manchester for the event. I love their Hip Hop inspired trailer and menu. 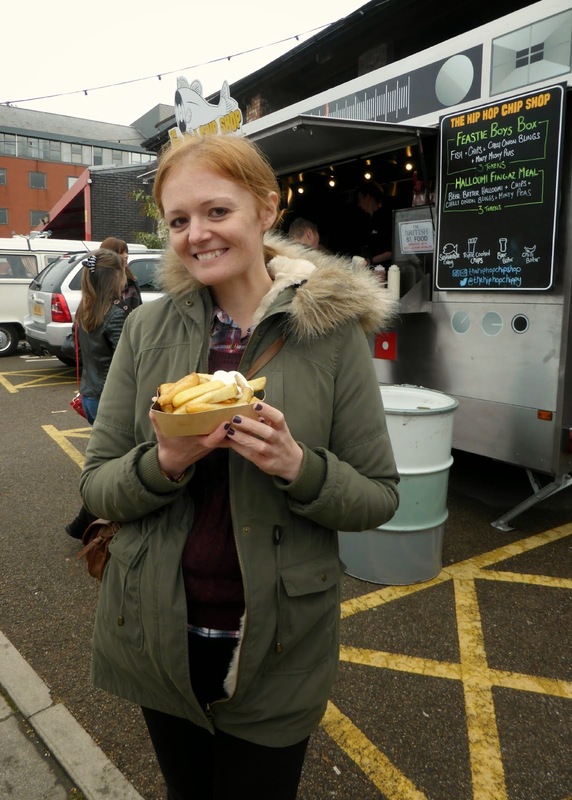 I was very tempted by their Feastie Boys Sample Box which contained fish biters, chilli onion blings and mushy peas but as I had to save myself to visit some other vendors I opted for just chips on this occasion. 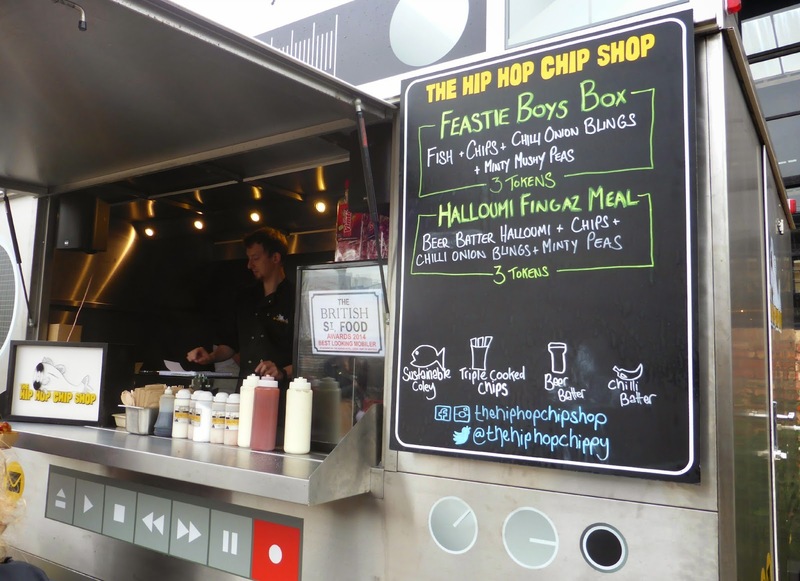 Except "just chips" don't really exist at Hip Hop Chip Shop as they serve triple cooked chips which were amazing and only cost 1 token. They were huge and so crispy! 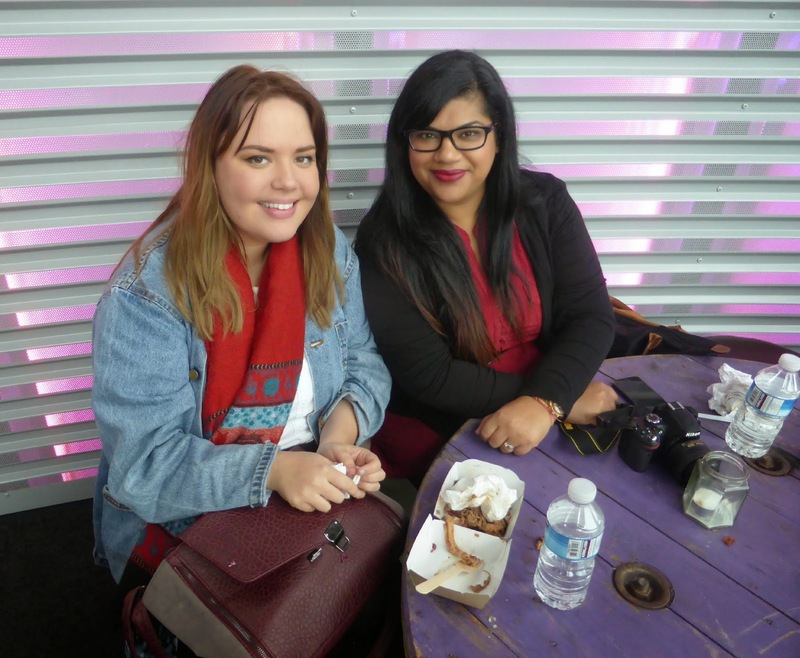 We just about managed to grab ourselves a table so we could tuck into Round One in comfort and we had a great time wolfing down our food and taking it in turns to go exploring for more. The best way to tackle the Steamer is for everyone to just go mad picking out the foods they want to try and then coming together to see what each other have found. For Round Two I decided I had to go to Fat Hippo. 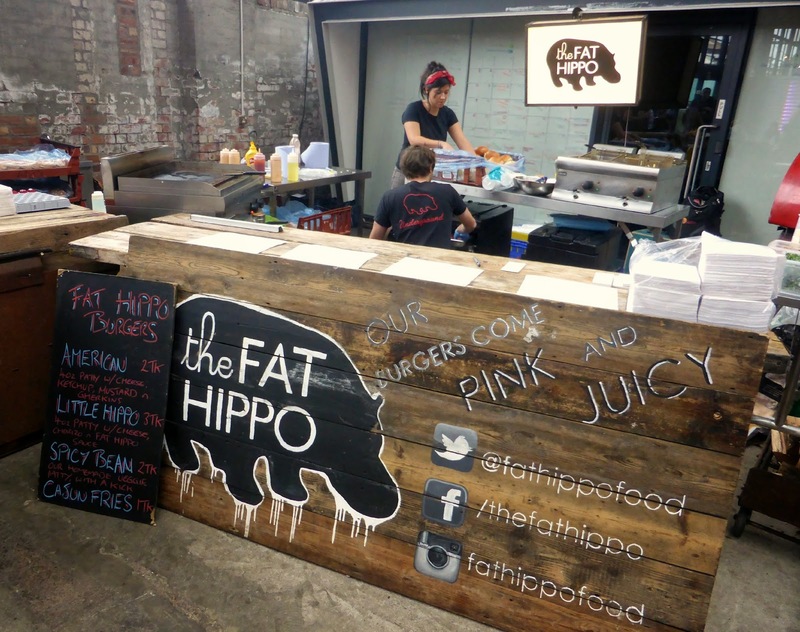 Fat Hippo are very well known in these parts for making the most amazing burgers. 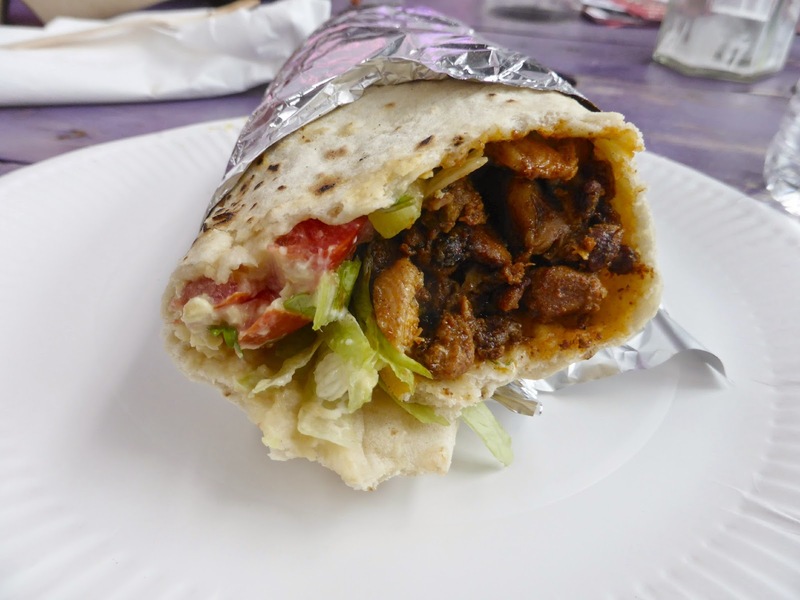 They have a very popular restaurant in Jesmond and have recently opened up another in the centre of Newcastle. I chose an American Burger for 2 tokens. 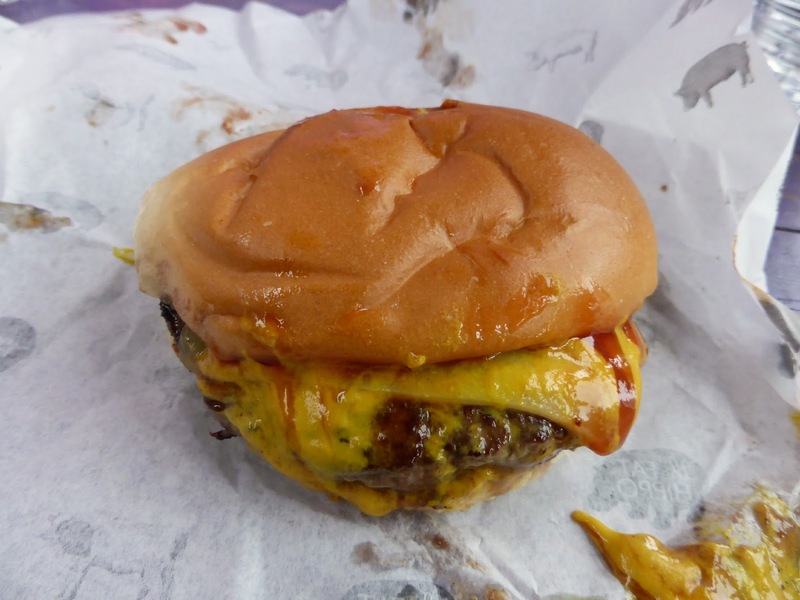 It was the most simple burger on the menu served with cheese and lashings of tomato sauce and mustard. It's not the most photogenic of burgers but wow it tasted amazing. Of course this is Cake Club so really Round 3 had to involve some kind of sweet treat. 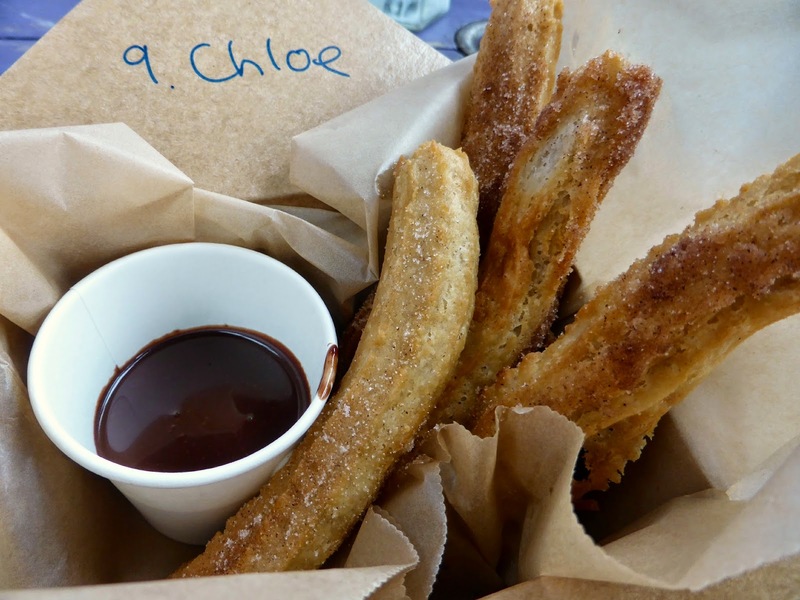 Unfortunately there isn't a lot of choice for those with a sweet tooth at the Steamer but I had managed to spot some gorgeous looking Churros that were being served up by the Sugar Down Bakery. I parted with 2 tokens and in return got some warm, sugar and cinnamon coated churros served with a generous pot of chocolate ganache. Delicious! By this point I was done, my 5 tokens (£10.00) had all been spent and I was feeling ready to burst. The Boilershop was also beginning to get rather busy so we decided to call it a day and head off for a walk up to Town to let our food settle. I loved every single second of the Steamer and will definitely be back again. 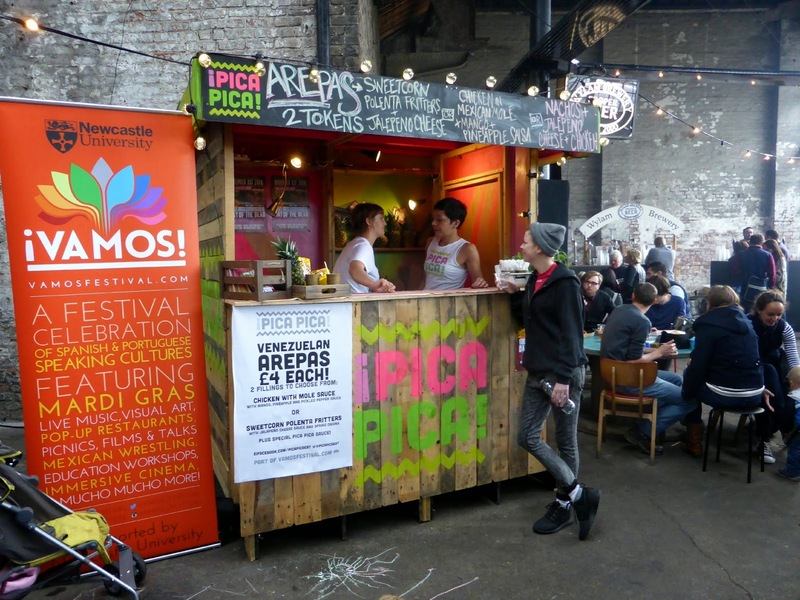 It has the most wonderful atmosphere and is such a great chance to try out delicious street food in a fun environment. 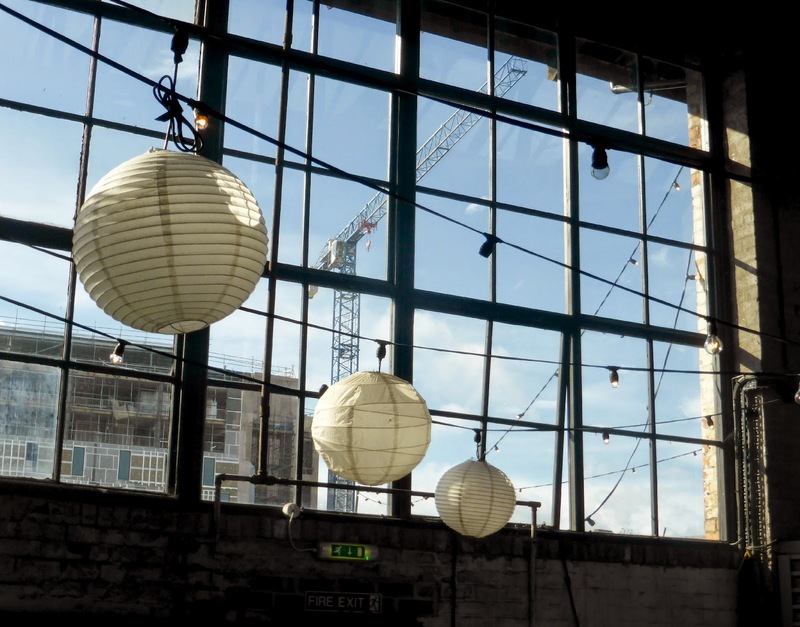 The next Steamer at the Boilershop takes place this weekend and opens tonight (Friday 7 November) from 5:30pm. Make sure you check it out! I love places like that, there are often quite a few in Leeds as well! I love having lots of choice but I'm also so unbelievably indecisive so something like this can be quite dangerous for me! Me and my friend usually go and share lots of different things so we don't get jealous of each others foods! Wow - what a great day. 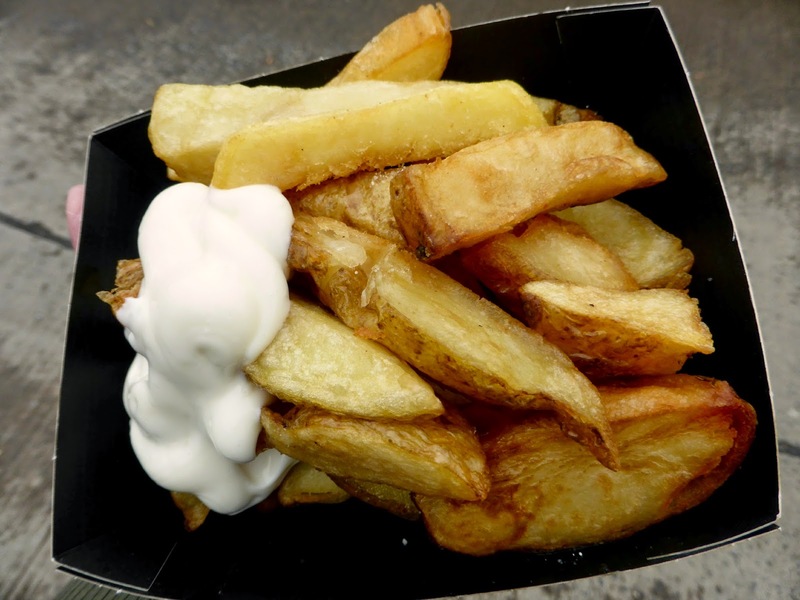 I love triple cooked chips - SO good. 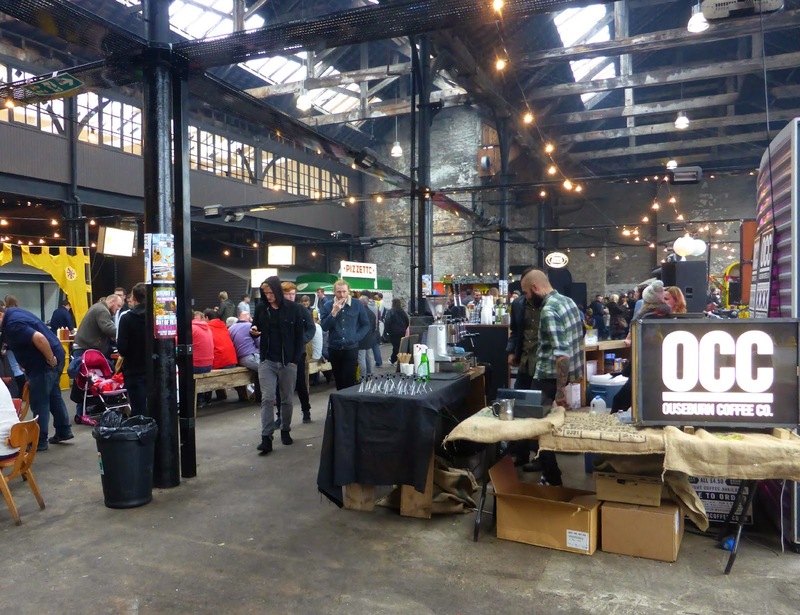 I've always wanted to visit the Boilershop Steamer, it looks so different to anything else in the area and reminds me of markets in London. I am such a sucker for churros and chocolate sauce, I always get some when the international market comes to town.